Marketers could soon have 280 characters to play with on Twitter. But just because you could…. doesn’t mean you should! Twitter announced last week that it would be giving a small group of users the ability to tweet in 280 characters – double the standard 140 characters that we have grown used to. 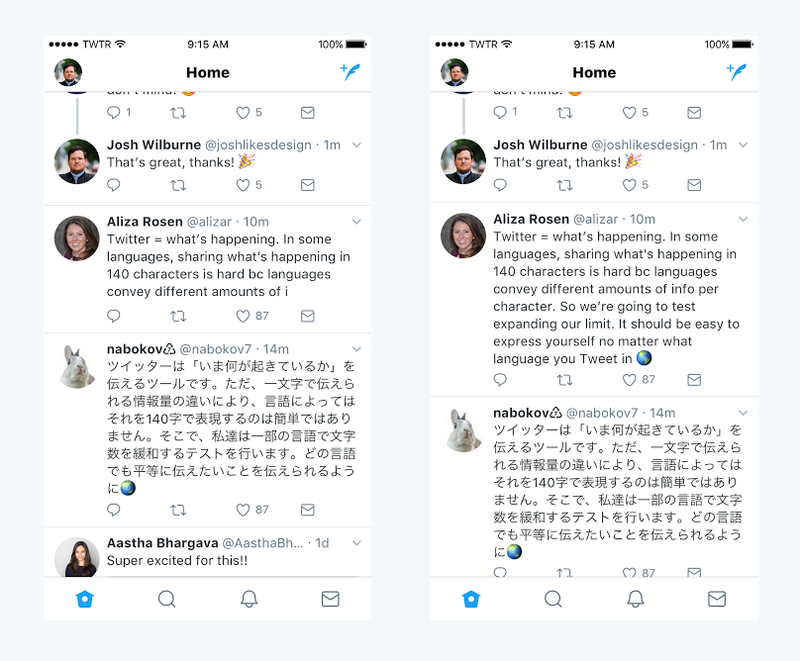 The 280 character tweet limit is currently in testing in every language except Japanese, Chinese and Korean. The thought behind this is that these languages are able to effectively communicate/express more in fewer characters. The change comes as new data shows that only a small percentage of tweets sent in Japanese (0.4%) actually use the whole 140 characters, compared to 9% of all tweets sent in English. Twitter’s monthly active users have remained stagnant for 2 consecutive quarters at 328 million, and there lies the problem. Twitter’s ability to secure advertising dollars depends on the platform’s ability to continuously grow, hence the addition of 140 extra characters – Twitter’s growth strategy. And much like previous product updates, Twitter users have taken to the platform to voice their dislike/concerns over the potential character change. 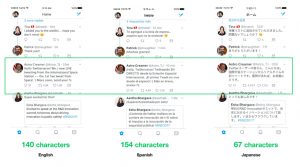 Now, it’s easy as marketers to jump at the opportunity to use 280 characters. I get it… sometimes it is really hard to write clear brand messaging in 140 characters. But I warn you – approach with care. Twitter is about brevity. It’s the core of the platform – it highlights only the most important things, forcing people people to get to the point of what it is they’re trying to say. Doubling the character limit seems to go against that core philosophy. Twitter users have become comfortable with the 140 character limit over 11 years since it was introduced – it’s what they expect. When they look and see a long post, they’ll automatically assume its 1) someone on a rant or 2) an ad, and ultimately ignore it. The main objective for Twitter with this move is to increase the amount of platform users globally, and the number of tweets per user. This is a double-edged sword for marketers. On one hand, more users means a larger audience base = potential customers. However, more users (who don’t have the 140 character discipline that Twitter alumni do) means more long-format style tweets = flooding. A polluted newsfeed will result in lower brand retention, ad recall, engagement and ultimately force long-time users off the platform. On the plus side, Customer Service Managers rejoice! Hannah Redmond, Group Director of Strategy and Innovation at The Marketing Arm says the 280 characters will allow companies to better service their customers on Twitter.